It’s every cyclist’s worst nightmare: returning to where you parked your bike to see a broken lock on the floor and your pride and joy nowhere to be seen. With only 5% of stolen bikes being returned to their owners, it’s hard not to see the attraction of Connected Cycle’s GPS-enabled pedal. Day-to-day, the pedal records speed, distance, incline and calories, sending the data to the Connected Cycle smartphone app which should be available to download for iPhone and Android users in the next few days. 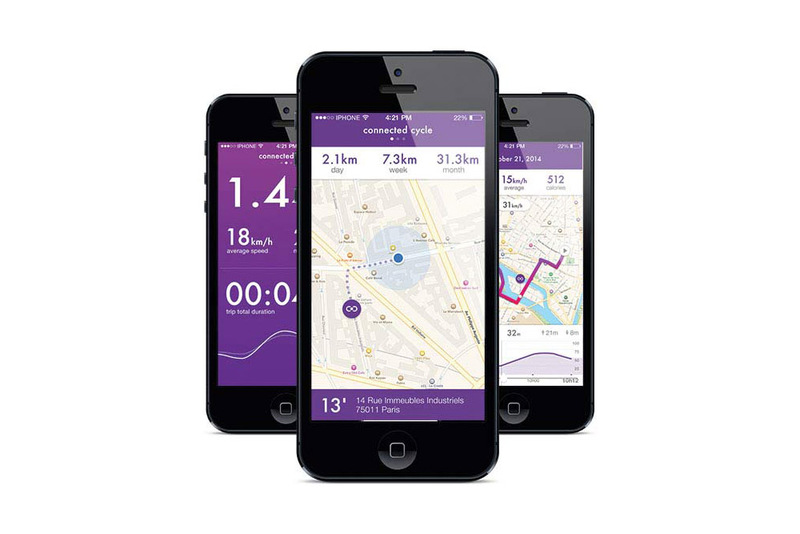 The Connected Cycle app tracks your bike and measures speed, distance, incline, and calories. However where the Connected Cycle pedals really come into their own is as an anti-theft device. Users receive a notification whenever their bike moves, with a map to track it’s location, allowing you to chase down any miscreant who has made off with your ride. Installation is simple and doesn’t require any tools, but thankfully removing the pedals is not so easy, requiring a special coded key that only the owner possess. The other smart feature is that the pedals are self-charging, meaning that once they’re fitted you can simply leave them to get on with their job. The pedals will come in five different colours, although there’s no word yet on pricing or UK availability. For more details head over to the Connected Cycle website.